Your creative energy is high, and you can see exceptional opportunities for growth in your career. But you must also attend to the demands and needs of others to be successful. Look for fitness activities that are more like play than working out. This is also a good time to get to the core of psychological and emotional dilemmas dragging you down. You're finally ready to show your true feelings and intentions, but lighthearted activities will ease any tension while you're breaking the ice. Issues around intimacy arise near the Moon on the 8th, but a long weekend together from the 10th—12th might give you a better perspective on the situation. Your heart and mind open to vast possibilities near the Moon on the 23rd, when sharing your dreams for the future can lead to a deep bond with your partner. While Mercury retrogrades from the 1st—12th, pay close attention to financial details, especially where contracts or joint ventures are concerned. It can be easy to overlook important details or to be lead astray by others from the 9th—17th, so think before you jump into anything new. 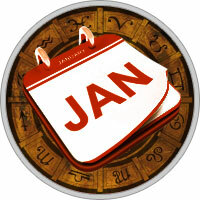 Your judgment is more clear after the 21st, when new possibilities bring hopeful options. Plan business travel after the 23rd, when meetings or conferences can energize your career Gemini. Let your vision clear and open your mind to vast possibilities during the Moon on the 23rd. Keep your priorities clear, and you can accomplish your goals very quickly.